It’s Time for Dr. Oz to Hit the Yellow Brick Road – Run For Your Life! Doctors should not be cheerleaders. They shouldn’t be flowery with their language about weight-loss treatments. And they sure as hell shouldn’t pitch miracle cures to the public. 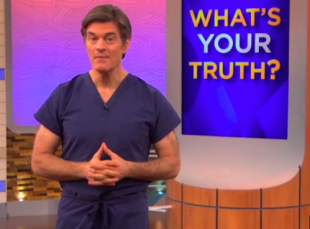 This is why Dr. Mehmet Oz must be exposed. He should be removed from his position at Columbia University and shown the Yellow Brick Road. He first came to attention on Oprah Winfrey’s show five years ago. Since then, he’s fronted a popular daytime television program, the Dr. Oz Show. Ratings are generally high. He’s well-trusted. Until recently, that is.